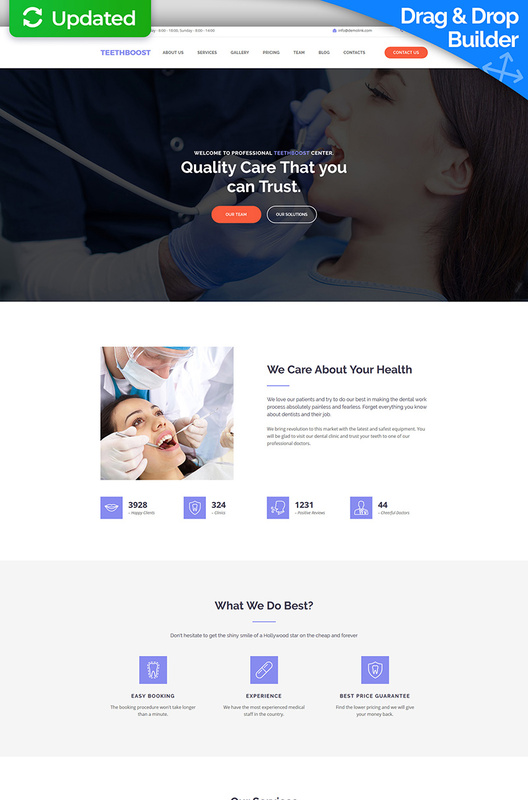 Short description: A clean and professional design of this Dentistry Moto CMS 3 Templatefits for clinics of any size as well as private doctors. You don't need to have extensive technical knowledge to build your own website with this template at hand. 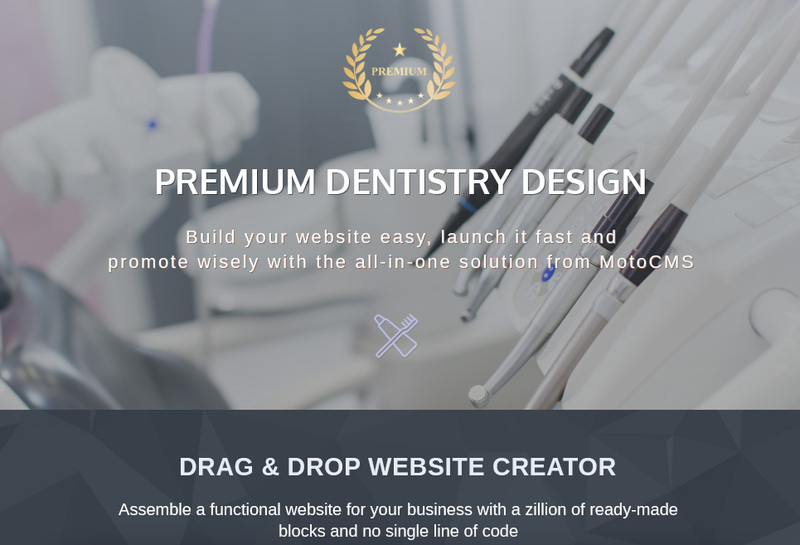 Use its drag-and-drop website creator with numerous ready-made blocks and not a single line of code. 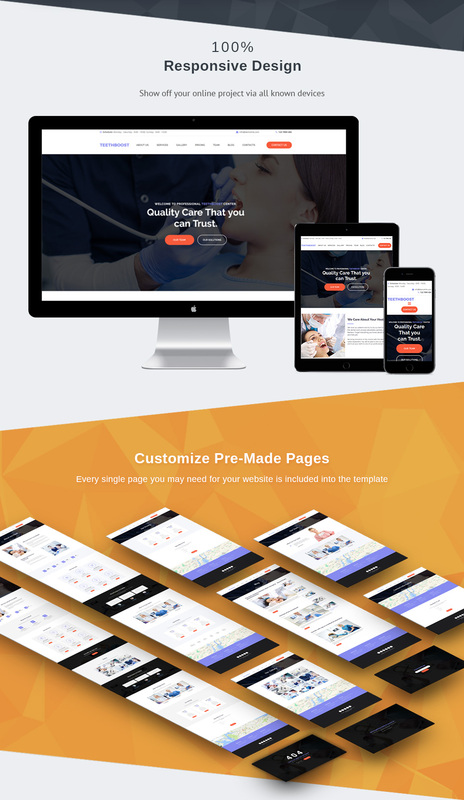 Please note that your website will be 100% responsive, which means that the patients won’t be limited in terms of device they are viewing the clinics website from.The theme is delivered with a bunch of pre-made pages. So, you will have any page you need for your website and not only that, you will be able to tell your story on your personal blog, create an impressive photography portfolio, and so on.This template is definitely a good investment into your cloudless future.